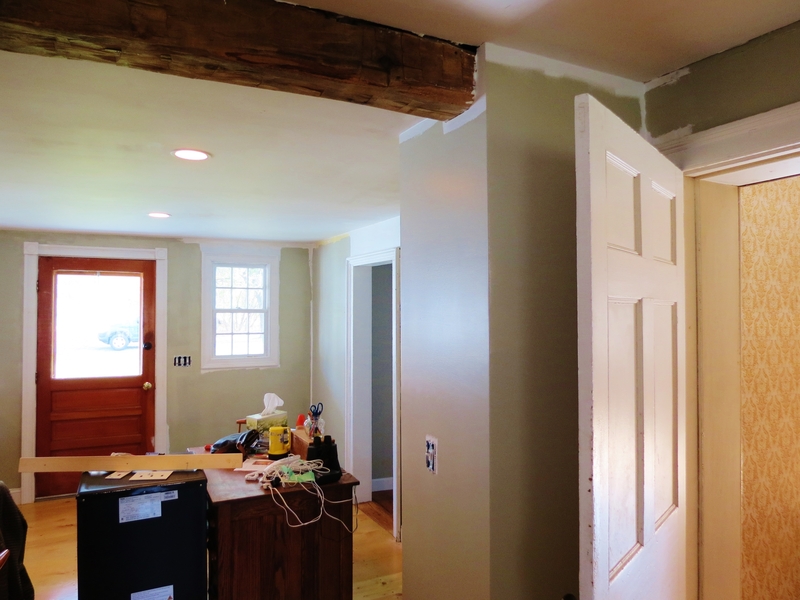 One never gets bored of work to be done on an old house that has been gutted inside out. The Living Room has been “paint ready” for months now. Finally got round to painting and after it was done it kind of looked like it was never done. 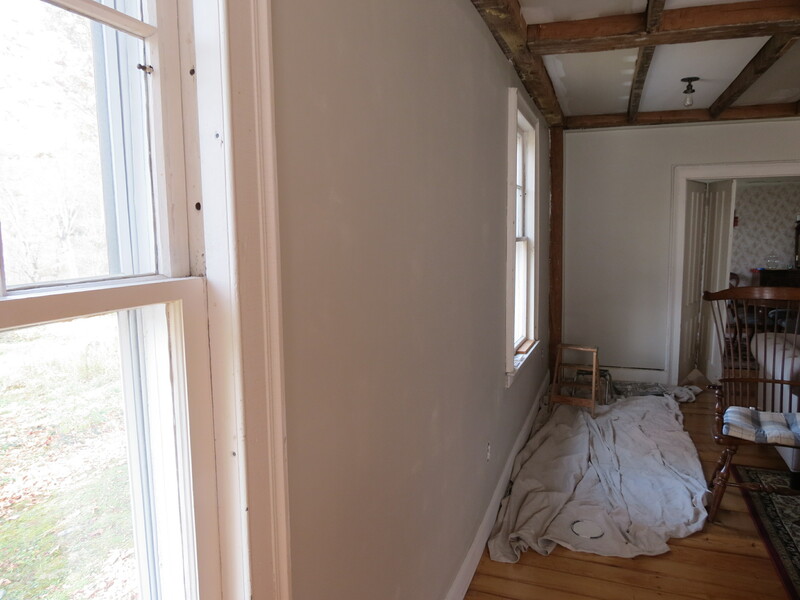 (the color is a light, historic gray, the same color as unfinished drywall). The Kitchen painting was much more trans-formative. The walls got the same paint color as the Dining Room. 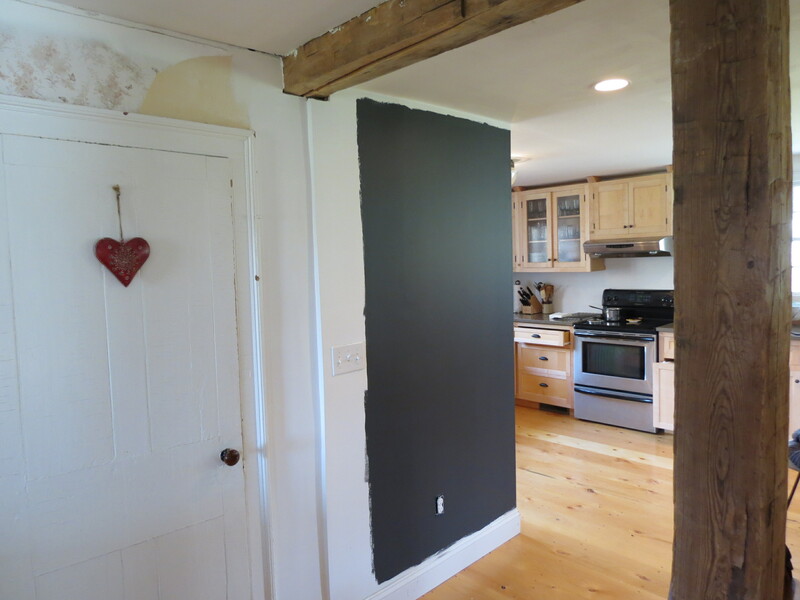 Chalkboard paint – awaiting to be framed in wood. White bedroom with new drapes! 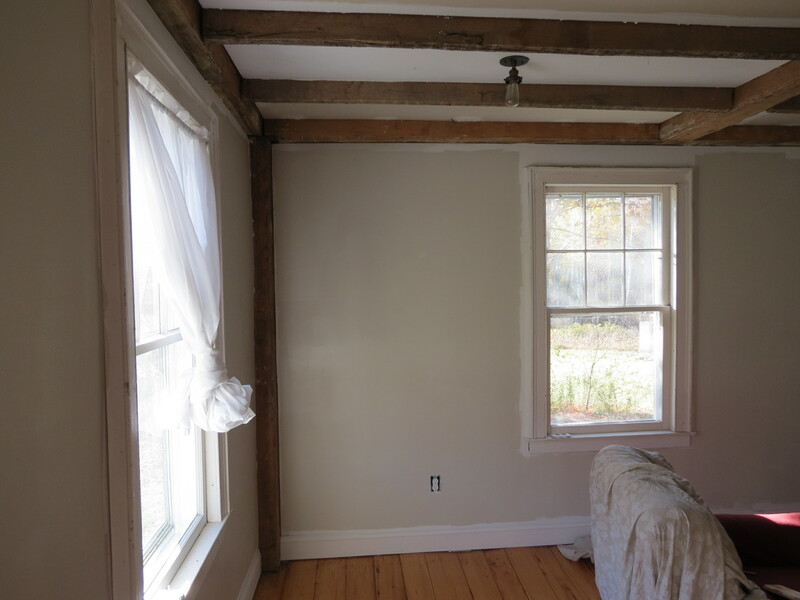 Still stuck on what color to paint our bedroom walls…they’ll stay white (primer) for a while. Its taken me 2 yrs to finally hang drapes up!! 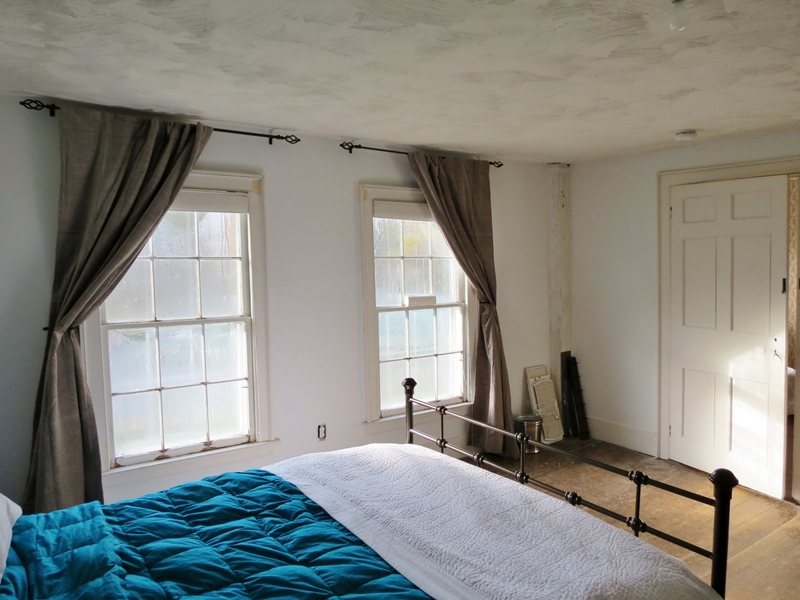 In the fall of 2013 we embarked on a joint family venture of owning a rural antique colonial in Vermont as a family get away and vacation home. After looking at only 3 other homes we all agreed that this house had the most potential and truly was a diamond in the rough. The house has so much history and character. It is a classic Federal-style Farmhouse Colonial, built by hand with traditional post and beam construction in 1786. It once served as an inn and a tavern. A back addition was added in the early 1800’s and was the community’s meeting house for many years. We are only the 3rd family to own this house in over 225 years. The house was vacant since 2006 and had not been updated in over 30 years. That did not deter us and we felt that with all of our joint effort and skills we could not pass this opportunity up. In the months since, we have completed some major renovations and the work keeps continuing. This blog is intended as a journal of our progress and outcomes. I hope you enjoy it. Combining a love of architecture, design, history, nature, symmetry, simplicity and challenge!